Where in the World is North Weymouth? We’re pleased to announce a 2014 photo contest! 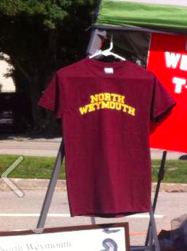 As you may know, we have been selling “North Weymouth” t-shirts at various Weymouth events. We still have some – and they are only $6 each and we offer free pickup/delivery in Weymouth. Please email northweymouthca@gmail.com if you are interested in purchasing one or more. So what’s the contest? 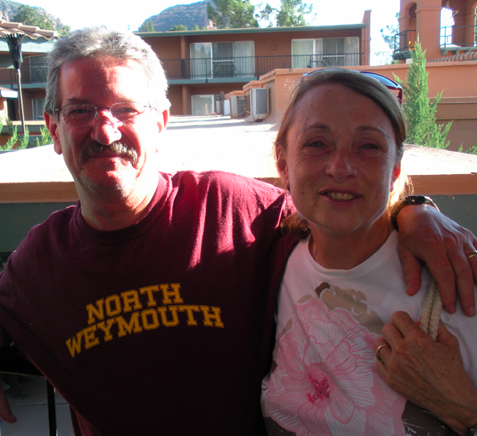 Submit a picture of yourself or loved one wearing your North Weymouth shirt somewhere exotic – it could be at a corn maze in Bridgewater, in Dubai, in Montana – the possibilities are endless! In February 2018, the Board will pick their favorite photo based on uniqueness and Facebook likes. The winner will receive a $50 gift certificate to a North Weymouth restaurant – will it be Kelly’s? Will it be Cathay? Will it be The Mooring? One never knows! The Deloreys in Sedona, Arizona!